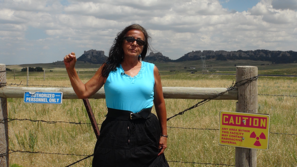 Synopsis: Crying Earth Rise Up tells the story of two Lakota women’s parallel search for answers to the question: Why are there high levels of radiation in our drinking water and how can we protect our families and community against this threat? The documentary is an intimate portrait of the human cost of uranium mining and its impact on sacred water. It tells a timely story of protecting land, water and a way of life.